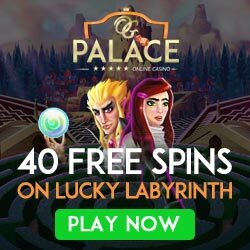 The OG Palace casino is gambling platform that caters to players from the US, and it brings all the games that most casino fans are already familiar with. The program comes with plenty of useful settings, which the viewers can use to tweak and customize their experience, which is bound to deliver a whole lot of loyalty points, exclusive bonuses, and free spins on their favorite games. The OGPalace offers also a mobile platform, a download version, and the instant play mode – all of which can be used for accessing and navigating the lobby. Once signed up, the casino will bring you the hottest games and promotions, ensuring also a 24/7 support, and everything else that a customer should need at this point. The services comes with an age restriction, and because it focuses on the American audience, the games are reserved for adult viewers: 21+ only. 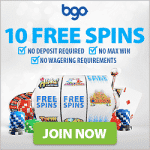 Find out more about this casino, and enjoy a plethora of benefits when you finally join. OG Palace is one amazing website, not only filled by the latest software content, but also various promotions and special bonuses that everyone is able to appreciate via a desktop computer or mobile device of their choosing. The casino offers Rival and BetSoft slots, featuring plenty of well known titles, such as: Ten Times Wins, Wishing Cup, Great 88, Kawaii Kitty, Party Parrot, Misfit Toyland, Juicy Jewels, Diamond Dragon, Plunk-Oh, Lucky Labyrinth, Birds!, Dollars to Donuts, Sin City Nights, Chariots of Fire, Ten Suns, alien Spinvasion, and more. The best way to experience all of that, is by simply becoming part of its impressive program, which is always able to guarantee that you are playing with as many chips as possible, because everyone can be a winner at this online casino. Mobile slots, scratch cards, video poker, live casino, table games, islots, 3 reel slots, 3D slots, online slots, and progressives – all that and more awaits at the OGPalace.